Hi, My name is Yun. 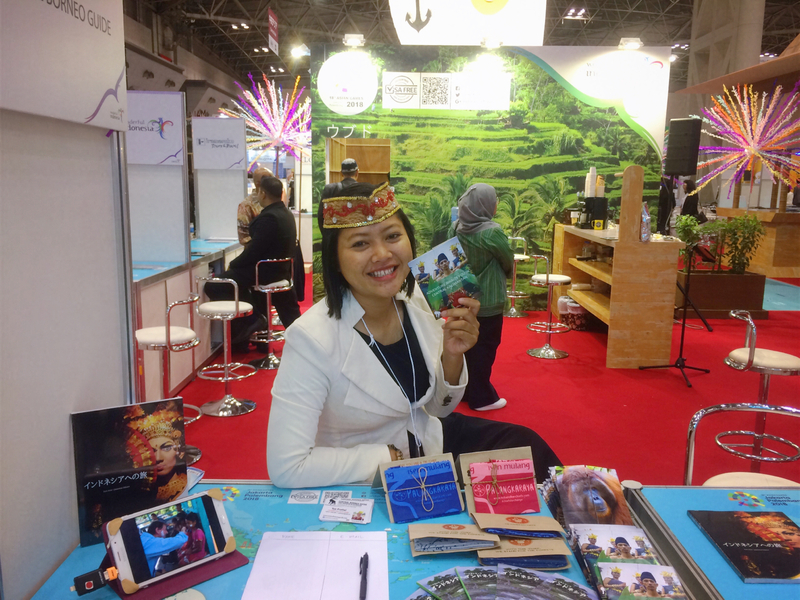 I’m from Palangkaraya and I am the founder of a travel agency called the Central Borneo Guide. Today, I’m gonna tell you a story about my special trip to Japan. As a girl who have spent her entire life in Indonesia, I never expected that I would be flying outside of my home to Japan.. for a week! Well, I have joined some travel fairs in many cities in Indonesia, such as Pontianak, Batam, and Yogyakarta. But, this trip was different. It was my first time joining an international event and promoting my island, Kalimantan, over sea. This expo is one of the biggest travel fairs in the world. Many countries were promoting their tourism in the event. I was so humbled to be one of the representatives of Indonesia and Kalimantan. While there, I found out that Indonesia is the second best Southeast Asian tourism destination after Singapore. It’s gaining its popularity mainly because, I believe, the rich cultural diversity we have brings an unparalleled experience to people visiting Indonesia. This fact gives me the confidence to showcase my travel service and my province to the world, because we do have unique cultural identities. For this mission, I also brought TRI’s bandanas with me that I gave as souvenirs to people who booked their trips to Central Kalimantan using my service. Its uniqueness made it a perfect gift for tourists and travelers. Plus TRI bandanas also represent ‘responsibility’, a value that I hold dearly when operating my travel agency. With TRI, I want to promote responsible tourism, which means being conscious with how our travel affects the places we visit and their people. I would like to thank everyone who made this trip possible for me. Thank you David, Stephanie, Gertrude, Mark, Ibu Minarni, Central Kalimantan’s Tourism Department, and especially the Indonesian Ministry of Tourism, for the support. I won’t stop here! This trip marks my promise to promote Central Kalimantan and the concept of responsible tourism to the world. I’ll continue to make my way to get as many people as I can to visit my beautiful island while at the same time trying to preserve my island’s beautiful culture and its environment.